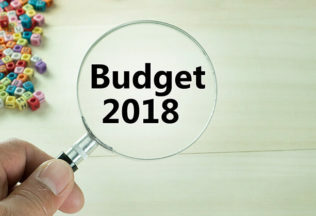 The 2018 federal Budget which was announced Tuesday night May 8 2018 rightly puts the focus on jobs and skills and highlights the importance of setting sound economic fundamentals by returning the budget to surplus earlier than anticipated, According to the chief executive of Australian Food and Grocery Council (AFGC). AFGC CEO Ms Tanya Barden said that the Government’s efforts to return a Budget surplus a year earlier than predicted should be acknowledged while also welcoming the range of budget measures aimed at stimulating employment growth, enhancing skills and training and investment in vital public infrastructure. “The Government is taking action to achieving a surplus of $2.2 billion 2020/21, reducing the uncertainty for business which undermines the confidence and investment essential to underpin jobs and growth,” said Barden. “The Government has recognised the need to establish and then build ongoing Budget surpluses without resorting to increased taxation that would dampen business and investment confidence and consumer spending,” she said. Other commentators said that the tax cuts for low to middle income earners will encourage and support retail spending which should have flow on benefits up the Fast Moving Consumer Goods supply chain. For the Australian food and grocery and agri-food sectors which are spread across the length and breadth of the country, the significant boost in infrastructure planning and delivery is viewed as essential for developing supply chain solutions that create world leading, efficient channels to market. “The Government’s announcement of $225 million to improve the accuracy of GPS in Australia may greatly assist and improve High Performance Vehicle Road Mapping. ”It has been difficult to get accurate maps that show the smaller local roads and led to some uncertainty about what vehicles are allowed in the ‘last mile’ to a delivery,” said AFCG’s Barden. “This Budget’s investment in upskilling our workforce is welcome, given that the $127 billion food and grocery sector is becoming increasingly specialised in the physical manufacturing as well as the computing and software technologies that control processes. These funding programs will assist companies meet the skill workforce needs of modern manufacturing.”m she said. An ongoing commitment to establish globally competitive taxation rates, and that continuation of the SME instant write off is good for small manufacturers and suppliers, disappointingly this Budget does little to help mitigate high energy prices or stimulate investment in food and grocery manufacturing. Small businesses now have longer to write off business purchases. The initiative was initially introduced in the 2015-16 budget and has been kicked along at a cost of AUD $350 million over the forward estimates. Trade is one of major focus’ for farmers in this year’s budget, with $51.3 million to be spent on six new on-the-ground agricultural trade councillors in new markets, plus the extension of those positions in Vietnam, Malaysia, the Middle East, China and Thailand, bringing the total to 22. They will work on the ground to eliminate trade barriers, keep markets open and alert farmers to new trade opportunities. In turn, industries will be expected to pay back just under half of the investment under a cost recovery plan. Meanwhile, Treasurer Scott Morrison agreed to change the rules around craft brewing, announcing that the budget papers will include a policy to tax all beer kegs the same way if they hold eight litres or more. This would mean brewers paid around $8.50 per litre for all containers that hold more than eight litres. The same policy will also apply to distillers if they use containers of the same size. In a statement, Morrison said the policy would assist 380 craft brewers and 100 domestic distillers across Australia. The exact dollar cost of the changes to the budget bottom line is expected to be outlined in tomorrow night’s budget papers. In a press conference on Morrison said the craft brewing scene is a “dynamic, new industry that has been growing up in Australia” and small businesses in the sector deserve a more level playing field. Woolworths supermarkets are now stocking COYO coconut yoghurt.